This week, I discovered that I’ve lived life deprived of a good tomato. As a tomato-lover, I was surprised to learn from Professor Harry Klee of the University of Florida that the supermarket tomatoes I’ve enjoyed throughout my 18-year existence are all flavorless compared to the tomatoes of the past. He spoke at Duke as a guest of the University Program in Genetics and Genomics on Feb. 28. 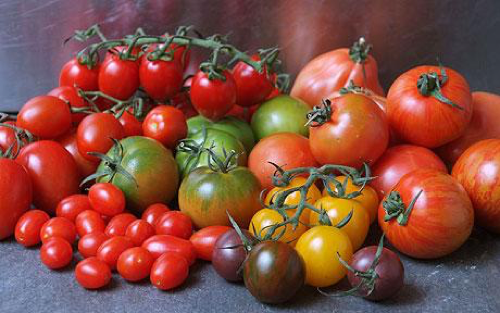 Commercial tomato growers have bred larger, redder tomatoes that are less flavorful than heirloom and older varieties. Image courtesy of Harry Klee. Apparently, I was one of very few people unaware of this issue. The public outcry in response to the increasing flavorlessness of commercial tomatoes began over a decade ago, when Klee first began to study tomato genetics. 4: Tomatoes can be back-bred to regain the genes that code for volatile compounds. In other words, Klee has mapped the way back to the flavorful tomatoes of the past. His work culminated in a cover story of the Jan. 27 issue of Science. The corresponding paper describing the analysis of over 300 tomato strains to identify the chemicals associated with “good” and “bad” tomatoes. 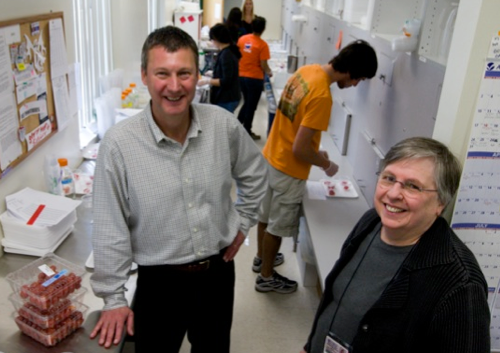 Dr. Harry Klee and collaborators in his lab at the University of Florida. Image courtesy of Harry Klee. To prove that modern tomatoes have less of the compounds that make them tasty, Klee and his team recruited a panel of 100 taste-testers to rank 160 representative tomato varieties. According to Klee, the team “developed statistical models to explain the chemistry of ‘liking’ [tomatoes],” then narrowed down the list of compounds that correlated with “liking” from 400 to 26. 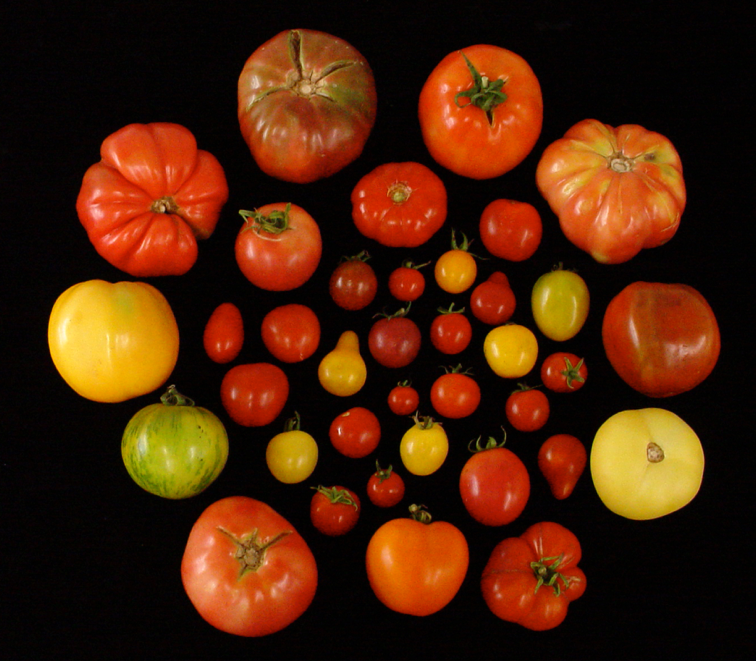 After tracing these 26 compounds to genetic loci, they used whole-genome sequencing to show that these loci are less expressed in modern tomatoes than in “cerasiforme” (i.e. old) and heirloom tomato varieties. Further studies showed that tomato weight is inversely correlated with sugar content—in other words, “a gigantic fruit doesn’t taste as good,” Klee said. If Klee can convince tomato growers that consumers value flavor over size, color, and quantity, then he might just single-handedly put flavorful tomatoes back on the shelves. Nevertheless—and despite the publicity surrounding his work—Klee understands it make take a while before commercial tomato growers see the light. Klee and his team of scientists have genetically mapped the way back to the tasty tomatoes of the past. Image courtesy of Harry Klee. “Growers get no more money if the tomato tastes good or bad; they’re paid for how many pounds of red objects they put in a box…[but] we can’t just blame the modern breeders. We’ve been selecting bigger and bigger fruit for millennia, and that has come at the cost of reducing flavor,” Klee said.